Blocked drain, what a pain! Water backing up possibly causing damage to your property? Nasty smells of sewage coming from your drain? Emergency Plumbers Dublin are here to help. With our fully qualified team we have extensive experience with all types of drain services for over 30 years. We don’t just fix your drain problem; we try to ensure it does not recur. Whether it is drain rodding or drain jetting some companies will just clear your problem and think that the job done. 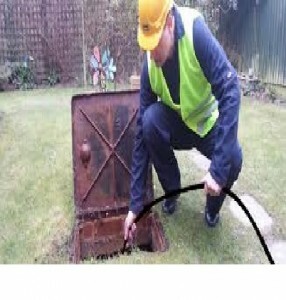 At Emergency Plumbers Dublin we have specialized C.C.T.V cameras, we can insert these in to your pipes to locate the problem and give you the solution to your drainage issues. We are experts in drain unblocking and can vbe at your home or business within an hour to unblock your drain in serious cases. We operate a full drain unblocking service throughout the county and have become one of the most reliable and trustworthy operators in the market place. For free advice on any drain services you may require just call 01-6874850. All of our team are fully qualified R.G.I. registered plumbers with many years of experience in clearing blocked drains. We are fully covered by our public and professional indemnity insurance for your extra peace of mind. Does it cost a lot for drain unblocking? No it doesn’t cost a lot to have your drain unblocked. Not anywhere near the cost of repairing the water damage that may happen from exposure to stagnant rancid water. Our team provide the ultimate plumbing and drain unblocking service, extremely competitive pricing; free call out with a professional no obligation quote. We pride ourselves on our customer service, with no hidden fees or charges. We do not charge traveling time or parking fees. Our vans are always fully stocked so as there is never a need to be “sourcing parts” If you require any type of drain services just give one of our experts at Emergency Plumbers Dublin a call.